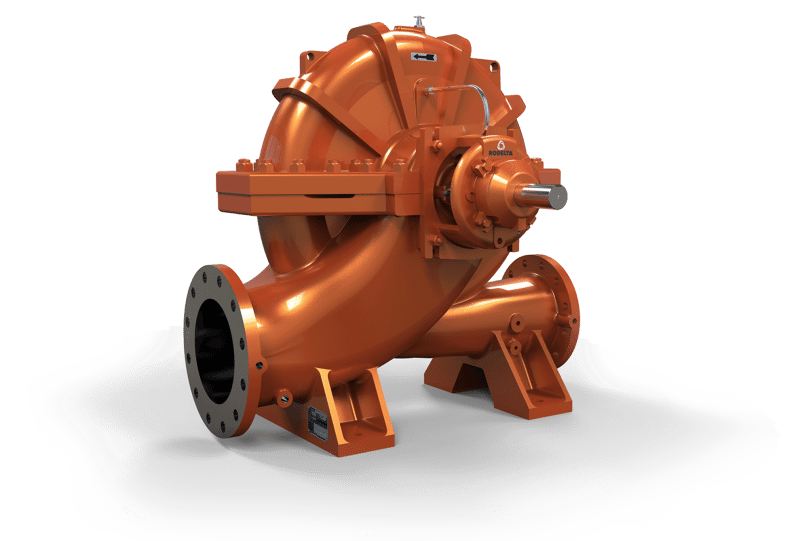 The BB1 type, UP (E) horizontal axially split casing, single stage, double suction or single suction, single volute or double volute type pumps with horizontal shaft. These pumps are gland packed or mechanical seal. 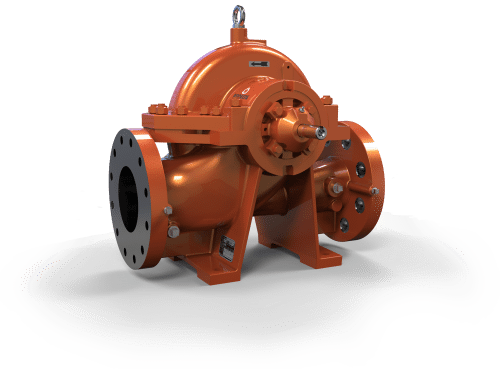 Rotating assembly is accessible for inspection or maintenance by removing upper half casing without disturbing suction and delivery piping and motor. 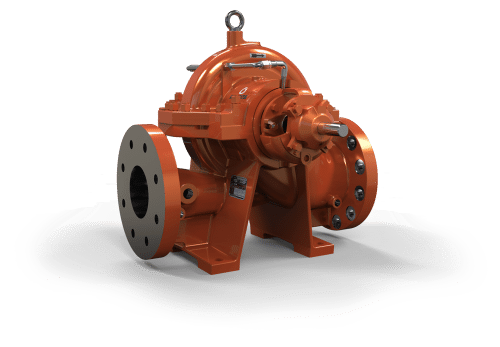 Horizontal execution is available as standard supply and vertical execution is also possible as per customer requirement with direct drive or with universal shaft arrangement. 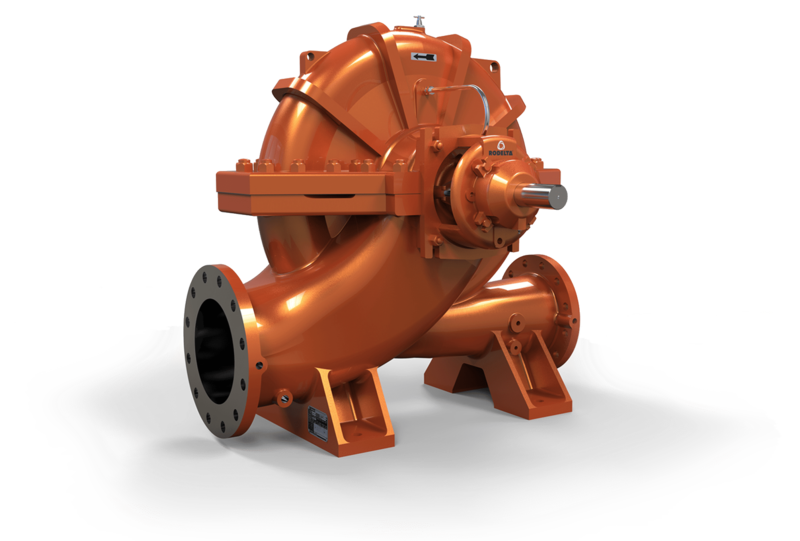 These pumps have High hydraulic and overall efficiency due to superior design and manufacturing techniques. Good suction performance and low NPSH. 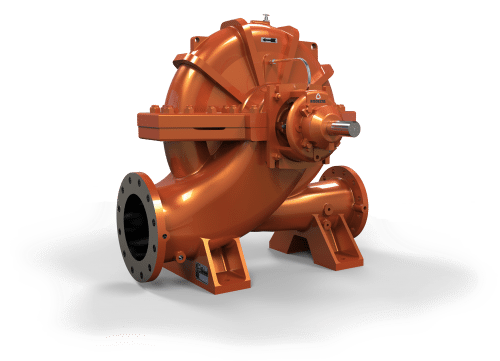 Stable characteristics, minimum maintenance required and High reliability. Due to modular concept, better interchangeability of components is possible, which results in fewer inventories.